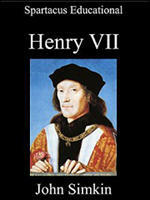 Henry VIII died on 28th January, 1547. His only son, Edward VI was only nine years old and was too young to rule. In his will, Henry had nominated a Council of Regency, made up of 16 nobles and churchman to assist him in governing his new realm. The leading figures in the new government, Edward Seymour, Duke of Somerset, Thomas Seymour (Lord Sudeley) and John Dudley, 2nd Earl of Warwick, were all in favour of Protestantism, and the Act for the Advancement of the True Religion was repealed. In May 1543 the Council had decided that the "lower sort" did not benefit from studying the Bible in English. The Act for the Advancement of the True Religion stated that "no women nor artificers, journeymen, serving men of the degree of yeomen or under husbandmen nor labourers' could in future read the Bible "private or openly". In a sermon in the City of London the next year, it was suggested that the study of the scriptures was making the apprentices unruly. Women (in the sense of women of the people) yeoman and apprentices - all these led lives far removed from the court where Queen Catherine was apparently in the habit of holding study groups among her ladies for the scriptures and listening to sermons of an evangelical nature. Although a later clause in the 1543 act did allow any noble or gentlewoman to read the Bible (in contrast to "the lower sort"), this activity must take place "to themselves alone and not to others". discussion on some serious topic, which inevitably meant some religious topic. 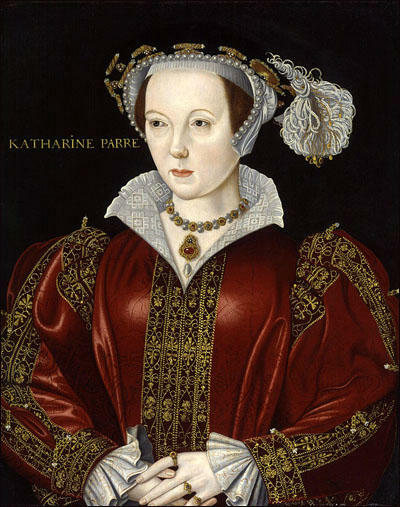 On this particular occasion, Katherine seems to have allowed her enthusiasm to run away with her, and the King was provoked into grumbling to Stephen Gardiner: "A good hearing it is, when women become such clerks, and a thing much to my comfort to come in mine old days to be taught by my wife." This, of course, was Gardiner's cue to warn his sovereign lord that he had reason to believe the Queen was deliberately undermining the stability of the state by fomenting heresy of the most odious kind and encouraging the lieges to question the wisdom of their prince's government. So much so, that the Council was "bold to affirm that the greatest subject in this land, speaking those words that she did speak and defending likewise those arguments that she did defend, had with impartial justice by law deserved death". Henry was all attention. Anything which touched the assurance of his own estate was not to be treated lightly, and he authorized an immediate enquiry into the orthodoxy of the Queen's household, agreeing that if any evidence of subversion were forthcoming, charges could be brought against Catherine herself.